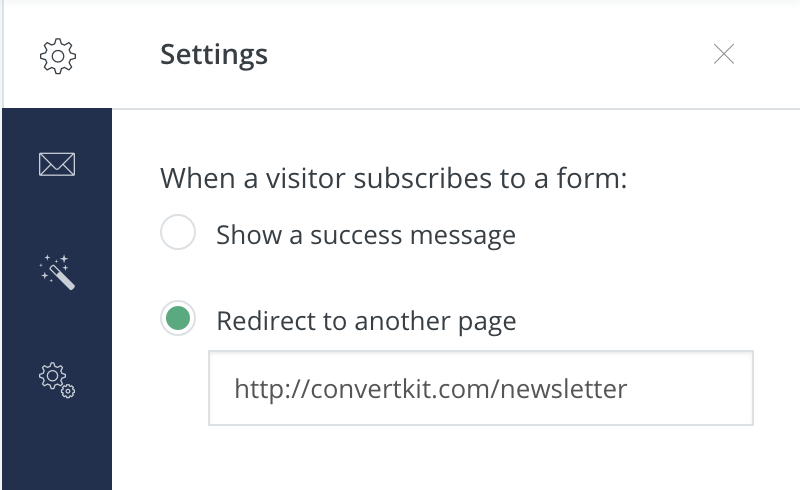 Get sign-ups sent directly to your ConvertKit account. Over 80,000 websites have the Genesis eNews Extended plugin installed and styled for their site. This article will show you how to connect it with the power of ConvertKit. If you're unsure, the URL of your Form will either have /forms/ or /landing_page/ in the address bar itself. You'll need to change "12345" to your specific form ID. You can find this by going to your Form and looking at the URL. It will have the ID right in the URL. That's it! The other fields can be customized or left blank. 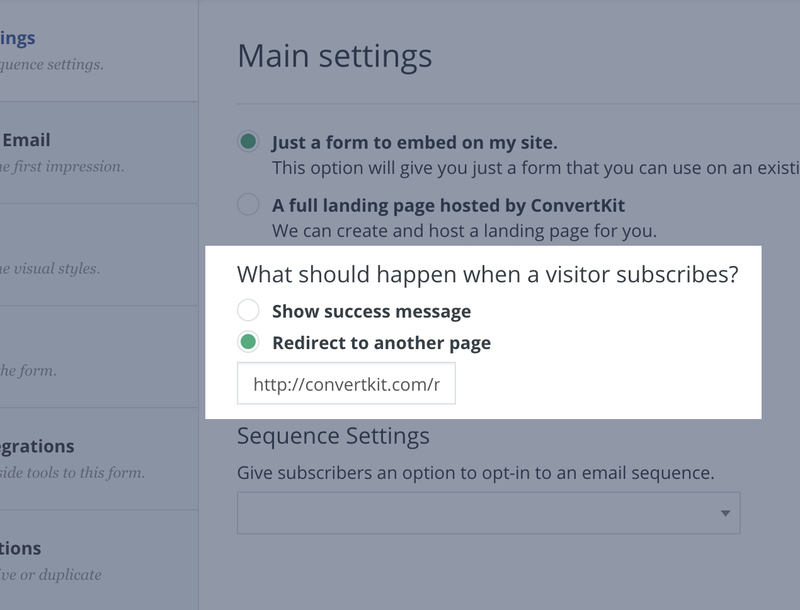 It's a good idea to setup a redirect to send your Subscribers somewhere after submitting their email. This can be your preferred thank you page! If you're using a Legacy form created before July 1, 2018, you'll find the option by opening your Form and going to Settings → Main Settings, in ConvertKit. For Forms created with the New Form Builder after July 1, 2018, open your Form and click the single gear icon in the sidebar to see your Form Settings. If the Form is still giving you an "Uh Oh" error page, try disabling the ReCaptcha, which you can find in the ConvertKit settings, here.